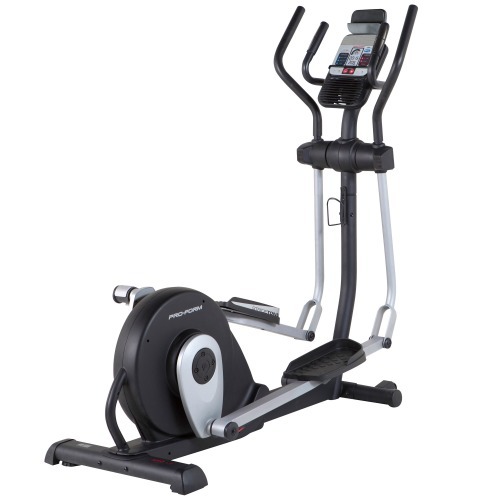 The home fitness elliptical market has no shortage of ellipticals aimed at the serious fitness enthusiast and we’ve covered many of these but as excellent as many of those machines are, there’s also most definitely a place for ellipticals that are aimed at the person that simply wants to improve and maintain their fitness levels, lose a bit of weight and generally just get a little healthier, rather than aiming to become a triathlon world champion! 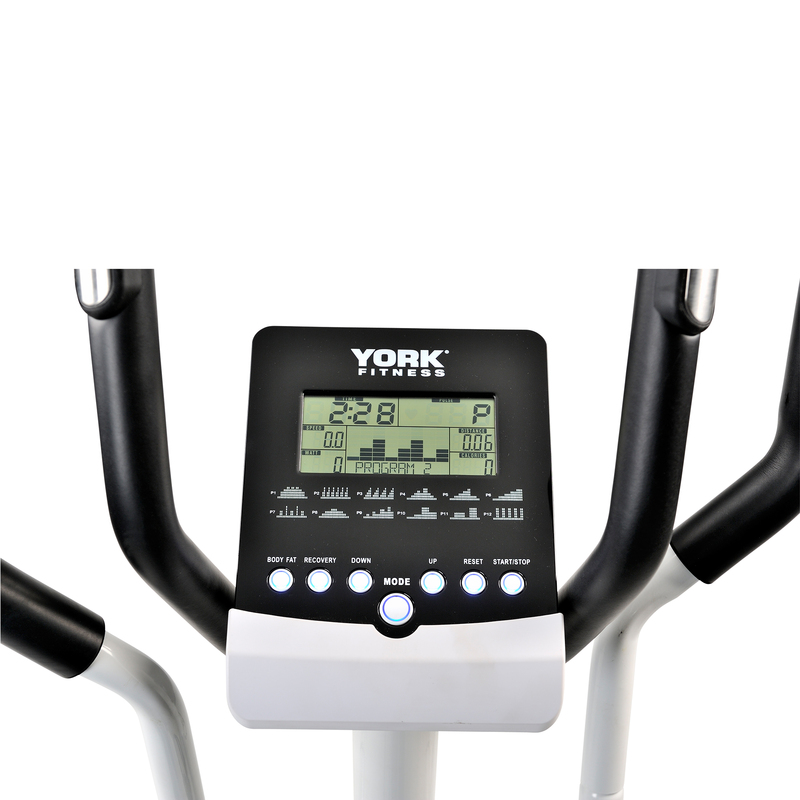 The York Active 120 is just such a machine. It’s been around for years and is a model that’s stood the test of time, so we decided to take a closer look and report back our findings. Assembly was simple enough and went without a hitch taking less than 40 minutes from opening the box to having a fully built machine. The instruction manual is clear and easy to follow and all the parts were present and fitted together as intended. 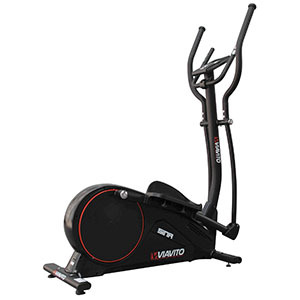 In truth, we’d expect nothing less from one of the worlds most venerable fitness companies but nevertheless, it was nice to see that while the price might be entry level, there’s been no obvious skimping on the quality of the components. 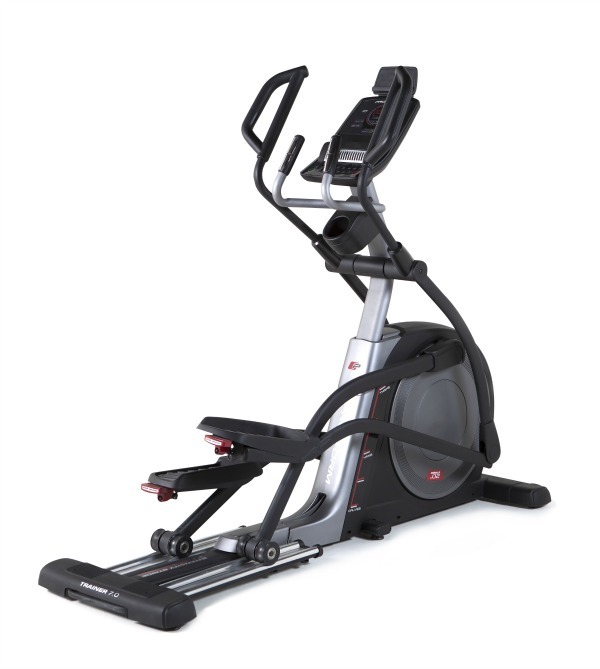 Once built the Active 120 is nice and compact and looks pretty good but more importantly, when you climb aboard and have a quick turn of the wheel it feels nice and solid as well as quiet and smooth. The basic specs on the Active 120 aren’t bad either. 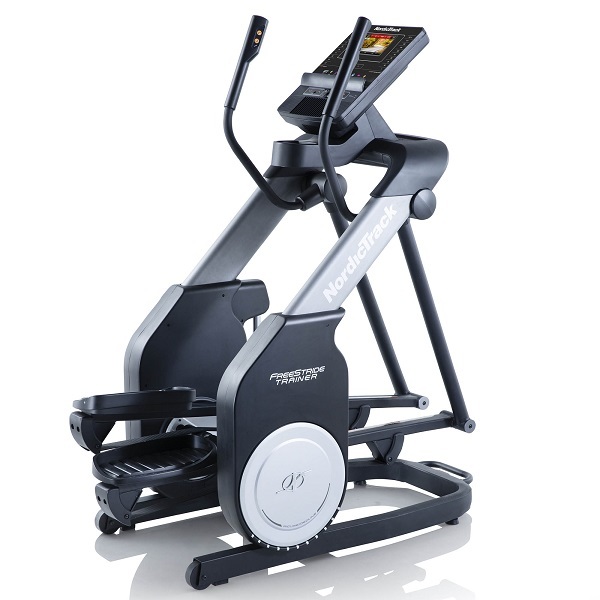 There’s a 7kg flywheel, 16 levels of magnetic resistance and a 12″ stride. While the stride length is likely to prove problematic for taller users, it should be good enough for most users of less than 6ft. During testing, the action was nice and consistent with the 7kg flywheel doing a perfectly respectable job of ensuring that things remain stable throughout the entire cycle. The maximum resistance setting is surprisingly tough (we’ve tested more expensive machines with less resistance) and should provide plenty enough of a challenge for the average home user that it’s aimed at. Away from the mechanical aspect, the console is actually quite impressive, despite being a grayscale LCD. All the characters for data such as time, pulse, speed, watts, distance and calories et al are nice and large with good contrast making it easy see the data while you’re working out. The buttons on the console are also very simple and logically laid out to the point where most users will be able to understand most of what’s going on without reading the user manual (though we’re obliged to say that you should always read the user manual!). In a world where we’ve become used to full-colour touchscreens with complex menus and back-lit displays, the console on the Active 120 is a reminder that keeping something simple can work just so long as it’s done well, and in the case of the Active 120, done well it certainly is. 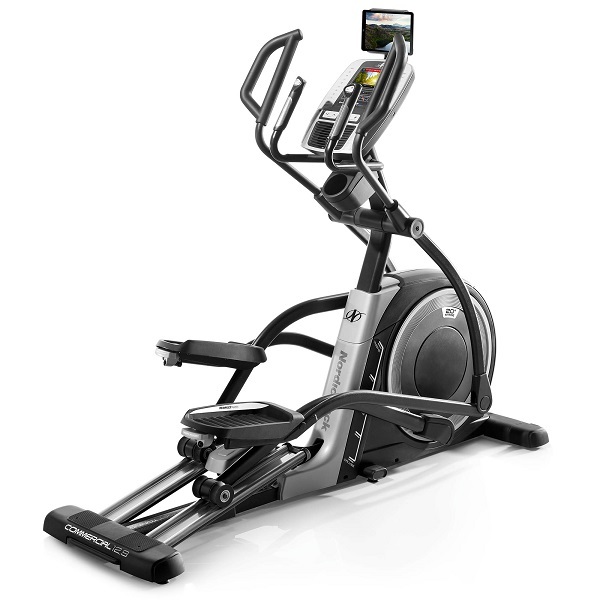 There are 12 preset workouts, 4 heart rate control workouts, a user-defined programme memory slot in addition to the manual mode, which is impressive on a machine like this. The preset workouts are varied and cover a good spectrum ranging from high-intensity cardio training to weight loss, to endurance improvement. The heart rate control workouts have four settings of 55%, 75%. 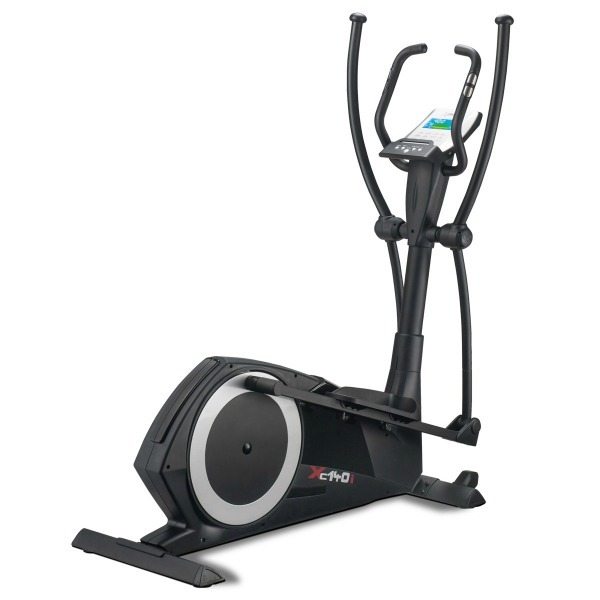 90% of your maximum rate and also a manually target heart rate setting where you can simply set the target BPM and the elliptical does the rest. It’s a bit of a let down that there’s no heart rate receiver so you’re stuck with the hand-pulse sensors. This means that to use the HRC programmes you have to hold the pulse sensors on the fixed handlebars. Not only is this less accurate than via a wireless receiver and chest belt, you’re also not working your arms on the moving handlebars. There’s also a watt workout option where you can set the intensity and a body fat analysis mode. Just enter some personal details, start the program and hold onto the pulse sensors and in a few seconds you get your body mass index and fat percentages analysed and shown on the screen. Last but not least there’s also a fitness recovery test so you can gauge your overall improvement. 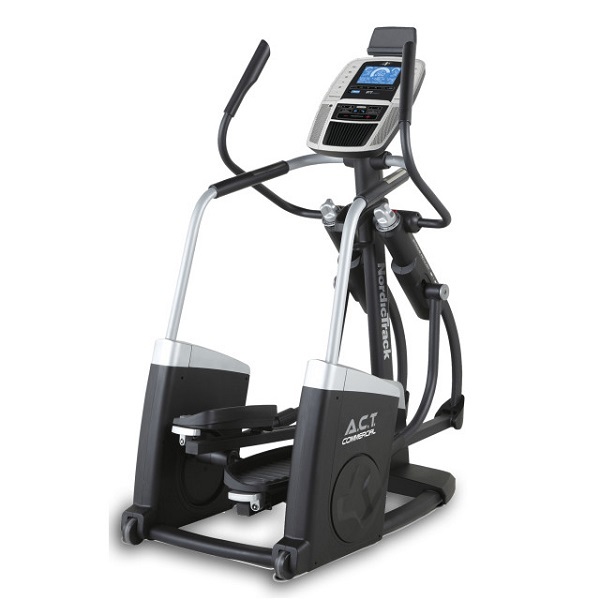 There aren’t many bells and whistles on the Active 120 but there is a water bottle holder, which is something missing on a lot of ellipticals at much higher prices than this and there are transport wheels at the front making it easy to move this cross trainer from one place to another. 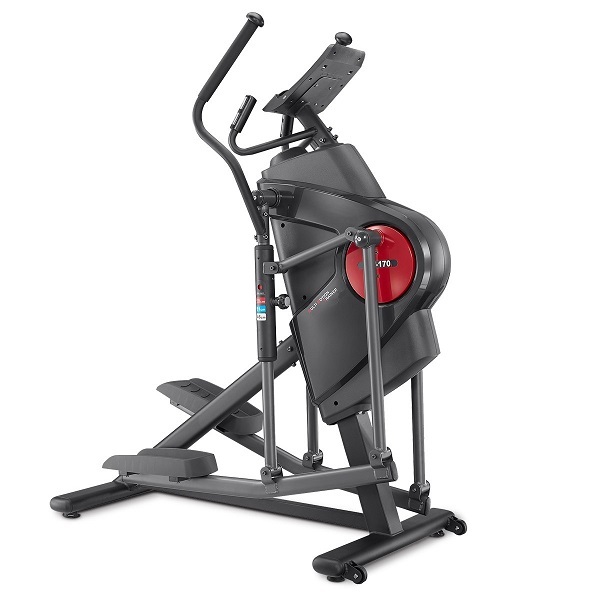 The max user weight of 110kg (17.3 stone) points to the Active 120 being as well built as it seems and it’s also covered by a 12-month warranty against manufacturing defects. 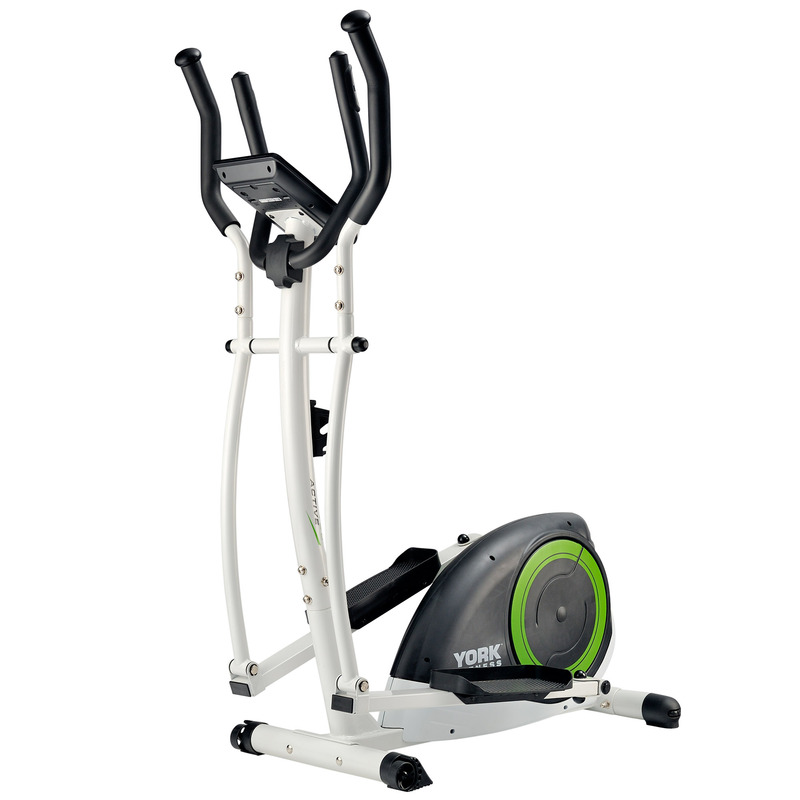 All round The York Active 120 elliptical cross trainer is a simple, dependable machine that does what it sets out to do and we can see why it's been around for years. There's a good range of preset workouts and functions such as BMI and recovery indicators and it's also built reasonably well. The real problem with it is that the warranty is half the length of almost all of its competitors and it doesn't have a wireless receiver which these days, at this price, we'd expect to see. 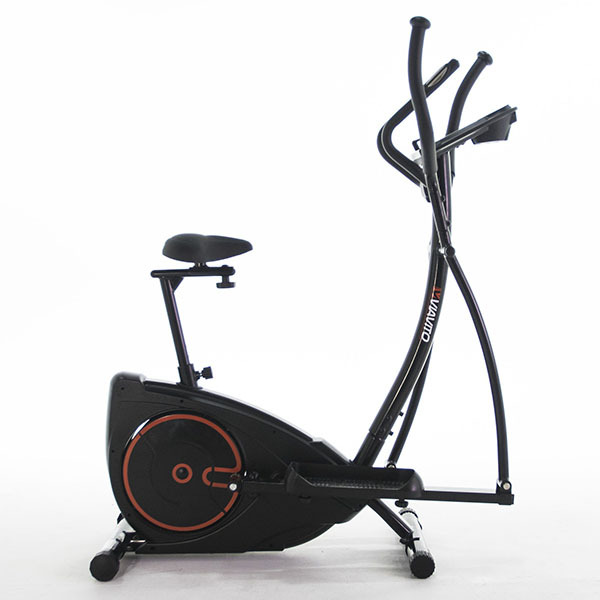 For direct comparison, the Viavito Sina is a slightly larger machine with a longer 15" stride, has lots of goodies, includes a wireless HR receiver, benefits from user profiles and has a warranty that, at 2 years, is double the length of the Active 120!